We can't stop staring at the Aston Martin Vanquish Zagato Speedster. Looks like the rumors were right. After Aston Martin revealed the ultra-rare Vanquish Zagato Volante, render artist Jan Peisert tipped us off that an even rarer Speedster variant is in the works. While no official announcement has been made, a new spy video captured by BridgeToGantry appears to confirm the Speedster’s existence. Unusually, the Speedster was spotted being tested at Nurburgring without wearing any camouflage, allowing us to admire its striking styling in the metal. Aston Martin already makes some of the most beautiful cars on the planet, but when it teams up with legendary coachbuilder Zagato the results are truly breathtaking. The seductive Speedster is no exception. 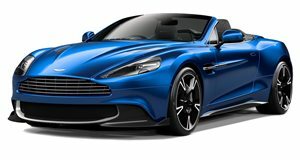 The rear seats and folding roof have been removed in a design that evokes the 2003 DB AR1, transforming the Vanquish into a true two-seater sports car. A pair of buttresses are located behind the driver and passenger without tarnishing the Speedster’s elegance. 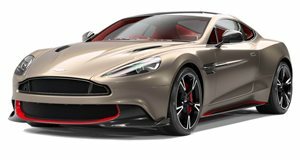 Like the Vanquish Zagato Coupe and Volante, power will be sourced from a 5.9-liter V12 with 592-horsepower. Chances are the Speedster will be marginally faster off the line than the Volante since removing the rear seats will make it lighter. While the Zagato Volante is restricted to 99 units, the Speedster is even rarer – only 28 of these beauties are being built, and our source says they’ve all been snapped up for £1.3 million (around $1.7 million) each. With video footage confirming the Zagato Speedster’s existence, it's surely only a matter of time before we get an official reveal.